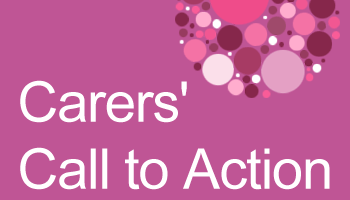 The Dementia Action Alliance have launched the Carers Call to Action to transform the lives of family and friends caring for people with dementia. By working together, leading charities, public bodies and providers aim to transform the lives of 550,000 family carers of people in England today. For many people, caring can take place over 10-15 years requiring an intensity of vigilance, physical care and emotional support 24/7 from the family carer, often with scarce outside help. The support of carers must become an integral part of the care and support package for people with dementia. When carers are well-supported, they can provide better care for the person with dementia that they care for, leading to better outcomes for all.